Every day is an exciting event with this powerful outdoor music machine! 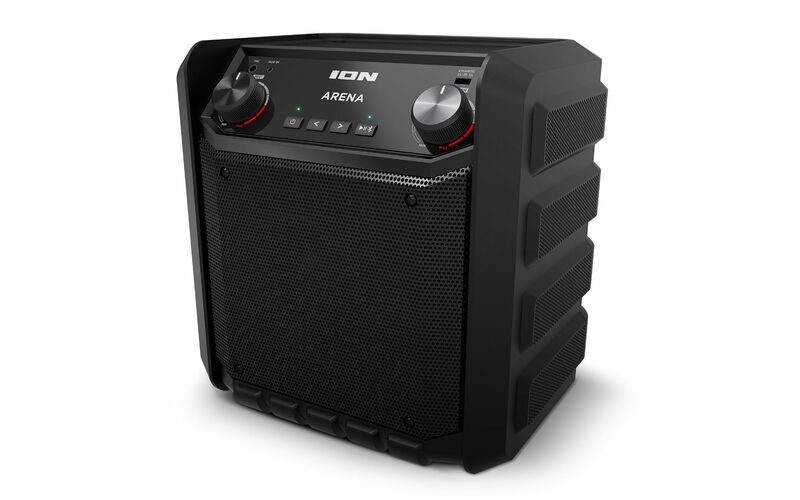 Whether before the game or a fun gathering in your backyard, you can count on Arena to make any event a winning occasion with its great sound. With its 2-way speaker system and 50-watt dynamic power amplifier, your music will always sound its best. You can stream music from any Bluetooth device or use the 1/8” (3.5mm) aux input to connect non-Bluetooth gear. Arena’s rugged composite enclosure is easy to take anywhere, thanks to its one-handed rear-mounted carry handle. With a USB charge port to recharge your devices and a long-life rechargeable battery that lasts for 24 hours, Arena is where the fun happens.